Outlook allows you to create Outlook Data Files (personal folders or.pst files) to give you additional storage capability. You can create additional folders to help with managing your mail. If your Outlook folders are missing or deleted, you have three options to recover deleted or missing folder in Outlook 2016, 2013, 2010, 2007, 2003 and 2002. Try each of them to retrieve your Outlook messages, calendars, contacts, tasks or other important information. You may wish to organize your mail into folders for each project you are working on or all messages from your boss in one folder. Personal folders can be used to save or archive e-mail that you no longer wish to keep on the server. The Personal Folders or.pst files can be stored locally on your hard drive or on a file server (e.g., your H: drive). If you store them on your hard drive, you will need to make sure to back them up on a regular basis. NOTE: you must exit Outlook every night if you store your.pst files on the network drive (H: drive), otherwise, the files will not get backed up. NOTE: Microsoft does not support.pst files being stored on a network drive. If you are moving to a new computer and your personal folders are stored locally, you will need to save them to a network drive or external storage device before you switch. • Choose File| Account Settings| Account Settings| Data Files • Click Add • Choose the location to save your file on the 'Save in' panel. This can be your local hard drive (C: drive) or a location on your network server (H: drive). The default location is C: Documents and Settings Local Settings Application Data Microsoft Outlook. The default file name is: My Outlook Data File(1).pst NOTE: ITS recommends that you first create a folder outside of the default Outlook directory to save your.pst files (e.g., H: Exchange or C: Exchange). This is important to easily locate your.pst files and is especially important if you move to a new computer and need to move a Windows profile NOTE: Microsoft does not support.pst files being stored on a network drive • Click OK. • Select the new.pst file then click Settings. To modify the Outlook Data File name or set the password. The.pst folder is now created. There are two default folders in your new.pst folder -- Deleted Items and Search Folders. You can now create new folders for storing mail. NOTE: You must exit Outlook every night if you want your.pst files to backed up on the file server (e.g., your h: drive). NOTE: Microsoft does not support storing personal folders on a network drive, they recommend storing on your harddrive. There are several methods to choose from for backing up your PST files: • A Microsoft utility called that enables you to make an exact copy (in the same file format) of a.pst data file, copy the backup file to your hard drive or H: drive, and specify how often Outlook will prompt you to back up a file. You can then use the backup file to restore the current.pst file if needed. For more information on the PST Backup utility, see '. • Use Microsoft Windows backup utility. A backup wizard will prompt you for: which files to backup, where to back them up (e.g., H: drive, cd drive, etc. ), and how often to back them up. Manually backup the files by copying the files to your H: drive or disk. NOTE: ITS provides limited support for these methods. You first need to create a rule to put a copy of the messages you send into the 'Sent Items' folder in the.pst file. • Choose Tools| Rules and Alerts. • Click the New Rule button. • Click Start Blank Rule. • Click C heck messages after sending and click Next. • Check 'through the specified account'. • Click ' specified' and choose the account this rule applies to (e.g, Microsoft Exchange Server) and click OK.
• Check 'Move a copy to the specified folder'. • Click 'specified' and choose the folder to copy the messages (e.g, your Sent Mail folder in a.pst file) and click OK. • Click Finish. Next, you need to change your options so that a copy of the message is not saved in your 'Sent Mail' folder on the Office 365 server. • Choose Tools| Options| Email Options. • Deselect ' Save copies of messages in Sent Items folder'. • Click OK on the client-rule message. About: There are two types of Outlook data files used by Outlook for Windows. An Outlook Data File (.pst) is used for most accounts. If you are using a Microsoft Exchange account, your items are usually delivered to and saved on the mail server. 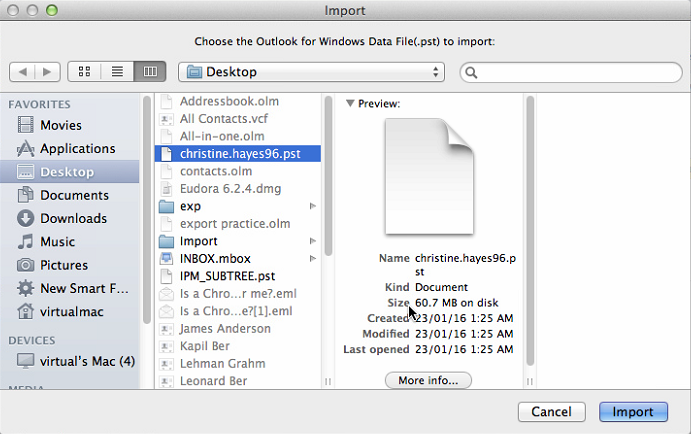 To allow you to work with your messages even when you cannot connect to the mail server, a second type of data file that is named an Offline Outlook Data File (.ost) is kept on your computer. The primary differences between the two types of Outlook data files are as follows: • Outlook Data Files (.pst) are used for POP3, IMAP, and web-based mail accounts. When you want to create archives or back up your Outlook folders and items on your computer, such as Exchange accounts, you must create and use additional.pst files. • Offline Outlook Data Files (.ost) are used when you have an Exchange account and want to work offline or use or use the default Cached Exchange Mode. Unlocking the full version of FL Studio 12 consists of authenticating your demo product. You got it right; the FL Studio demo that is available to download on the Image-Line website is in fact the full version of FL Studio. You don’t need to download anything else. FL Studio 20 Mac Edition. FL Studio 12.5.1.165 Cracked Full Version is Here. Please tell me how to unlock it. Kickasscracks editor says: September 29, 2018 at 8:13 am. Make sure your antivirus is disabled. Then apply the crack. It’ll work for sure. FL Studio 12.2 keygen and serial number is really a awesome music composer software for music performer and composer who’ve keen interest in the realm of music. FL Studio 12.2 crack permit you to make editing in music for example playlists, piano roll, pattern in addition to it enables you to definitely work diversely to experience with lyrics of music deeply. Once you’ve registered your product, there are two ways you can unlock FL Studio. Related: Entering your account’s details in the FL Studio application Step 1 Open the FL Studio 12 application, select the question mark in the menu and click on ‘About’. Step 2 In the popup that appears, locate the fields that prompt you for your email and password. The details you need to enter in these fields are those related to your Image-Line account, with which you secured your legal copy of the FL Studio product. Step 3 Once you are done, click the ‘Unlock Products’ button. If the correct credentials were entered, and if you indeed have an FL Studio license under your account, you should have a Success popup on your screen, reading: “The registration succeeded. Please restart FL Studio for the registration to take effect. The application will now close.” Step 4 After the application closes, restart it. Go back to the ‘About’ menu, and this time, you should see the unlocked status of your product. Downloading and installing your FL Studio regkey Step 1 Go to the official Image-Line website and log in. If you already own a full version license for FL Studio, you should already have an Image-Line account. Step 2 You may be redirected to the Image-Line homepage after logging in, so head over to your dashboard by clicking your username. Step 3 Go to the ‘Unlock Products’ tab. Step 4 Click on the keyboard image on that page, or on the hyperlink below it. This will download your regcode, which will unlock all your FL Studio 12 products. The file name for the FL Studio regcode, which is a registry file, is FLRegkey.Reg. Note that, if you’re on Windows, you can download and save the registry file anywhere on your computer; the file’s location does not matter. Step 5 After you’ve saved the regkey, double-click it to install it, or right-click it and select Merge, and proceed to the next steps. Step 6 Restart FL Studio. You should now have access to the full FL Studio 12 version with all the products (plugins, etc.) that you selected during your purchase. If the steps above seemed too complicated for you, try watching the following free video tutorial on YouTube to follow along easily. There are so many programs for music these days that we forget, for a while there, there weren’t that many programs at all. It’s hard to imagine now! I remember when there were only a few different programs to choose from. There was Cubase, Cakewalk, Pro Tools, Logic, and a few more. But, it wasn’t like it is now. Not by a long shot. It was during that time of very little choice that Fruity Loops showed up, around 1997. In fact, it showed up a couple of years before it’s primary foe, Reason. And, though it wasn’t nearly as polished as it is now, it was amazingly cool at the time, and has continued to grow into something even cooler. But, before we go there, let’s talk about the past just a little longer. For many, and still to this day, music hardware was prohibitive due to the cost. FL Studio really was one of the first to offer a full music solution that did not require any form of hardware. It was light on the processor, just like it is today. But, one thing that separates Fruity Loops from the rest of the herd is that it was much closer to a tracker-style sequencer on initial release than the rest of the software choices. This, I feel, resulted in some amazingly talented people getting into music that may have never, had it not been for a Fruity Loops. Info Panel One of BusyCal's most popular features is its embedded info panel that appears in the sidebar, enabling you to quickly view and edit event details with speed and precision. The Info Panel has been completely redesigned in BusyCal 3 and boasts a cleaner, modern look with improved controls for selecting dates and times, adding locations, attendees and more. What's more, the info panel is completely customizable. You can choose to show just the basics, or additional fields like time zones, tags and graphics. Menu bar app The totally redesigned menu bar app now displays a navigable mini-month calendar with colored dots and bars that provide a visual density map of your availability. A scrolling list of your events and to dos are displayed in the menu along with a 10-day weather forecast. Hello Friends, As in my knowledge we always recommended the best desktop app i.e Deja Desktop for desktop calendar mac. As this is the secure and safe as. It allows you to use any calendar apps which you have added to your Mac. For instance, it works with Google Calendar, Outlook, Office 365 and more. Besides, you can use customizable calendar colors make the interface more appealing. You can click on an event in the menu bar to view its details, and create new events and to dos using natural language. And, unlike other calendar apps, BusyCal's menu bar app is always running, even when the main BusyCal app is not running, so you always have access to your schedule. Smart Filters BusyCal's Smart Filters are a powerful tool for filtering and formatting your calendar. The most common use of Smart Filters is for creating Calendar Sets, to quickly toggle multiple calendars on or off with a single click (see above). 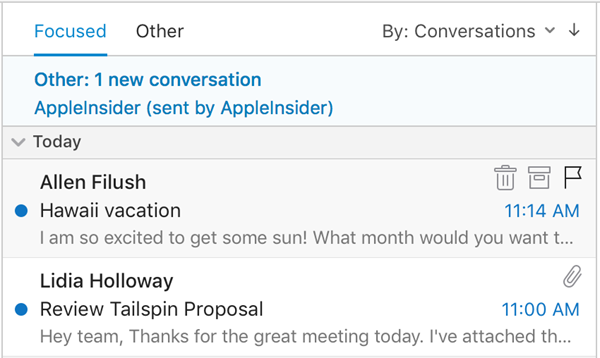 I want to sync my calendar across all my Macs and iOS devices, give my wife access to my calendar (and have access to hers), and do it all without paying for Apple's. For that, Apple’s iCal just won’t do. Still, I like the iPhone’s Calendar app. With the free Google Calendar, I found a scheduling solution that lets me keep myself organized, continue using the iOS Calendar app, give my family and coworkers easy access to my availability, and easily add new appointments from anywhere. Here’s how I set things up: Step 1: Create a Google Calendar Once you've created your Google Calendar, click Edit Event Details to open a window where you can enter details. You can use with your existing Google account, or with a free or paid account. Create a user name and password. Then log in to Google. You’re presented with a big blank calendar as soon as you click into the site. To add an event, click on the day in question. In the Event pane that appears, add the event’s name. Click Edit Event Details to open a window where you can type in the time and other information. Click on Save when you’re done. Step 2: Give it its own window With the Fluid utility, you can create a standalone application for accessing Google Calendar, and drop the application right into your Dock for easy access. You could simply load up Google Calendar in your favorite browser every time you need to check your schedule. My preference, however, is to keep a window entirely and exclusively devoted to my calendar open at all times. To do so, I use Todd Ditchendorf’s excellent (free; ). With Fluid, you can create what’s called a “site-specific browser,” which is a stand-alone app dedicated solely to the site in question. To set up your Calendar Fluid app, follow these steps: a) Download a good Calendar icon. Chris Ivarson provides. B) Launch Fluid, and fill out the single form with the URL for Google Calendar ( a name (I use “Calendar”). When you reach the Icon menu, choose Other and then navigate to the custom icon you just downloaded. @smayer97 you need to look at the answers that were given, and the original request. The request was to do it between a Mac and a Windows data file. It isn't possible because they aren't going to be the same data file. Not to mention it would probably be a disaster if it was allowed to do it between two different data files not to mention one on each operating system. BTW as for 'undocumented/tested features' I can tell you that in fact Quicken Windows will do exactly what you have said and sync two data files through the same Quicken cloud account/data file. There is in fact two reasons for this, one being a bug. The first is pretty simple to understand. If I copy a data file to another computer and then try to sync, currently the computer you are on isn't taking into account at all. It will do the sync. Now if I go back to the original/computer data file, it will certainly sync too. Of course that doesn't mean it won't do it by deleting accounts, adding accounts, categories, transactions, budgets. Quicken Deluxe, Quicken Rental Property Manager, Quicken Premier, along with Quicken Home & Business, in Addition to Quicken for Mac. Since 2008, every variant has tended to possess the launch year at the item title (e.g., Quicken Basic 2008); earlier then, variations were numbered (e.g., Quicken 8 for DOS). From what I have seen Quicken syncing to the Quicken Cloud account can't even be done 100% reliably even if only one Desktop computer is involved, I certainly wouldn't talking about trying to get it all working right with multiple Desktop computers syncing to the same Quicken Cloud account/data file. In the case of the bug, the bug is the way Quicken Windows identifies a data file. There is a buried unique Id in the data file. The bug is that whenever you copy the data file, the unique Id never changes. So you can imagine that you setup a data file to a point where you like settings and such, and then make multiple copies to start 'different data files'. Each to be used for completely different purposes. Well if these 'different data files' are connect to the same Quicken Id, Quicken cloud will not be able to tell that they are 'different', and the result is a cross linking of data files. Certainly not going turn out nicely. One thing I don't think a lot of people realize is that with the current setup, there is really only two data files syncing. There is the data file on the Desktop (with all the data) and there is the Quicken Cloud data file(with partial data). The Quicken Mobile app and Web are more GUIs to the Quicken Quicken data file then separate data that needs 'full syncing', like is needed between the Quicken Desktop data file and the Quicken Cloud data file. The more 'data files' that have to be kept in sync the more chance of problems. You call the syncing between 2 data files a bug but I disagree as this was published as a feature in the Release Notes. It just lacks documentation and certainly does appear to be a work in progress. And surely it has not been worked out to sync between QMac and QWin data files. That is why I presented alternatives. I agree that there are MANY issues with syncing to Quicken Cloud, whether it be QMobile or QWeb, so I would expect that there would likely be problems with syncing with the desktop data file. That said, syncing with QCloud IS a feature, albeit a problematic one. That is why I add the caveat emptor. © CreditDonkey Quicken set out to create a program that was at least comparable to its sibling, Quicken for Windows. Did it accomplish that goal? Many users don't think so, but they do recognize the improvements made in the program. Some of the most important improvements made include: • A more user-friendly interface • More cohesiveness between mobile app and Quicken for Mac • More reporting options Did Quicken accomplish what they set out to do? Keep reading to find out. How Does Quicken for Mac Work? One thing you should understand about Quicken for Mac: just likes its Windows counterpart, you must subscribe to the service. The subscriptions are available in one and two-year increments. Is a Racing, Single and Multiplayer video game developed and published by Battle Creek Games for Android and iOS. The game takes place in the realistic 3D environment and introduces customization feature. There are multiple vehicles available with unique statistics and abilities. The player needs to choose his favorite vehicle to jump into the world where he has to compete against AI controlled cars or another player to show off his racing skills. Project Cars 2 Mac OS X. A new game added today, October 13th, into the mac OS racing games category. For all the genre lover who want something different from Need for Speed series, we prepared Project Cars 2 for OS X.This is one of the best games that reflect almost perfectly a track race experience. 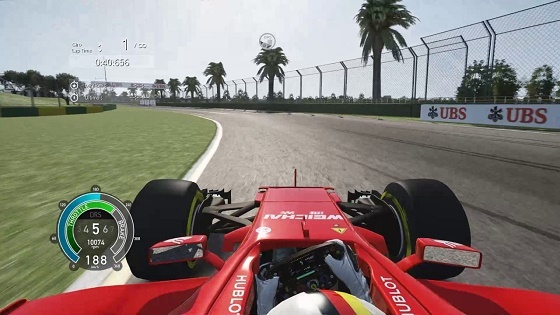 The game puts the player in more engaging and drags racing experience. In the beginning, the player builds his vehicle using multiple parts, tools, and accessories and can earn experience in Career mode. There are four different car classes available in Career Modes such as Funny Cars, Pro Mods, Top Fuel Dragsters, and Career Mode. After the race, the player can modify his vehicle by changing wheels, custom paints, and more. Pro Series Drag Racing includes core features such as Modifications, Tune your Car, Online Multiplayer, Career Mode and more. Pro Series Drag Racing is the best game as compared to other Racing games. Real Racing 3 is bound to keep gearheads entertained. It puts real brand-name cars on real-world tracks - hence the name. It features an interesting asynchronous multiplayer system whereby lap times are recorded from your friends, and you race against a bot that's driving at that time. Of course you can bump them out and affect their track time, and there's a single-player career worth playing through too. Over time, players earn new cars and can upgrade various mechanical bits with their winnings, but make sure you take it easy on your car - you'll have to keep your ride in good condition to avoid repair costs. Real Racing 3 is absolutely gorgeous, and the white-knuckled racing action will keep you coming back for more. • Free - Mini Motor Racing. Mini Motor Racing is fast, finger-friendly fun. Despite the cartoony art style and physics, there is a lot of challenge to be had here. Players work their way through various race modes in a top-down perspective, buy new cars, and upgrade their existing ones. The 20-odd tracks are presented in varying weather conditions and times of day, which offers a ton of replay value even for the most familiar circuits. There's a great Fruit Ninja tie-in with its own themed course and car, regular updates with new content, and local multiplayer over Wi-Fi. In-app purchases are available if you want to fast-track your car upgrades, though they're far from necessary. There's also a new extended championship you can buy your way into with in-game cash, though there are already 200 races in the core experience. For a light and fun racing game with lots of polish, pick up Mini Motor Racing. • $0.99 - Smash Cops Heat. Smash Cops Heat is a good old-fashioned cops-and-robbers racing game where you take on the role of the police. Players guide their cruiser with an intuitive, touch-friendly control scheme. Small boosts provide ramming power, and when you need to really motor, there are consumable Supercop power-ups. Mission types include standard take-down missions, races to get to crime scenes, and specifically-tailored challenge scenarios. Overall, Smash Cops Heat is a fast, fluid joyride with outstanding graphics. • Free - Slingshot Racing. Slingshot Racing is a unique luge racing game, featuring fluid, precise, and surprisingly fun one-touch controls. Every corner has a turnstile off the track which just spins continuously. As you approach, you hold down your finger on the screen, and your little racer harpoons to it, enabling you to slingshot around the corner and gain momentum. You have to be sure to release your touch at the right moment though, otherwise you'll just smash right into the inside wall and lose speed. This control scheme allows for easy local multiplayer on the same device, and combined with various in-track elements like boosts and hazards, you'll find plenty of challenge here. There are over 80 races here to work on, each one unlocked by gathering enough bolts from completing previous tracks. Slingshot Racing has one $2.99 in-app purchase to unlock all of the tracks to play, and $0.99 for each of four purely cosmetic bobsleds. Slingshot Racing is a polished, unique racing game perfect for sharing with friends. Go to the folder containing the Google Chrome application on your computer. Tip: It may be in your Applications folder. If not, go to File and then Find, and search for 'Google Chrome.' Drag Google Chrome to the Trash. Optional: Delete your profile information, like bookmarks and history: At the top of the screen, click Go and then Go to Folder. Besides Safari, Google Chrome is probably the most widely-used browser for Mac users. And sometimes, when the Chrome keeps crashing, freezes or won't start, you are recommended to fix the problem by uninstalling and reinstalling the browser. If you use Google Chrome to browse the web or to work in Google Docs, and it starts behaving erratically, or you start seeing lots of intrusive adverts, it’s likely the browser has been infected with malware. While it’s frustrating, and sometimes alarming, it’s not necessarily harmful to your Mac. Nevertheless, it’s best to get rid of it as soon as you realize it’s there. Malware can take a number of different forms: 1. Adware This type of malware downloads itself to your Mac, usually in the form of a browser extension, or hidden in a file you’ve downloaded. It displays adverts in a web browser or on your desktop. Pop-up windows These are a bit like adware. Examples, like a Chrome pop up virus, appear when you use a web browser, either on top of your current browser window, or behind it and take you to a website you haven’t chosen to go to. Hyperlinks This is more difficult to spot. This type of malware, or Chrome redirect virus, turns regular text on a web page into hyperlinks. If you click on one of the links, it will take you to a web page selling something, or urging you to download a file. Spyware Spyware is often hidden in a trojan, disguised to look like a legitimate file — perhaps a movie or a software update — but when you download it, it immediately starts stealing personal data, including financial details, web pages you’ve visited, passwords, and even the keys you press on your keyboard. How to know if Google Chrome has a virus There are a number of signs that you have Chrome malware on your Mac. • Chrome starts running very slowly and using up lots of processor cycles. Often, the first sign is that your Mac’s fans start running loudly when you’re not doing anything that’s processor intensive. If that happens, you can use Activity Monitor to confirm that it’s Chrome that’s stressing the CPU. • You start seeing adverts unrelated to any site you’ve visited or search term you’ve used. • A browser toolbar you didn’t deliberately download appears in your copy of Chrome. • Pop up windows appear frequently on sites that don’t normally use pop-ups. 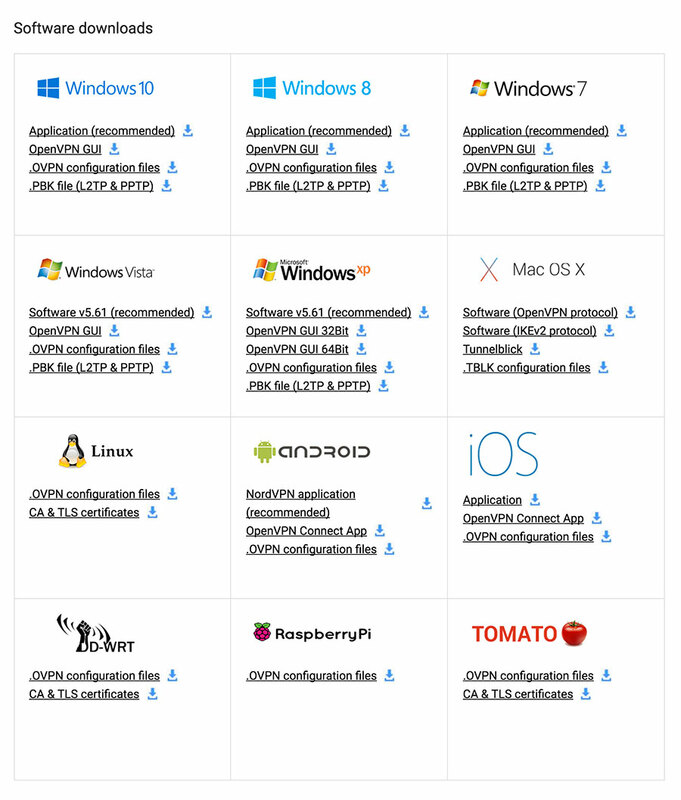 • You discover an application in your Applications folder that you didn’t download. How to remove adware and malware from Chrome The easy way: Scan your Mac with CleanMyMac X CleanMyMac X is a powerful app for protecting your Mac from all kinds of malware threats. It can detect and neutralize adware, spyware, worms, ransomware, and other vulnerabilities and hazards. Here’s how to use it: • and launch the app. • Click Malware Removal tab. • Click Scan. If CleanMyMac finds something suspicious, it will offer the immediate removal. The manual way 1. Uninstall suspicious apps Google recommends that when you discover adware or other malware, the first thing you should do is identify and get rid of any applications in your Applications folder that you suspect may be malicious. • Open a Finder window and go to Applications. • Look through the list of applications and identify any you didn’t download deliberately. • If you find one, you should remove it. However, just dragging the app to the Trash won’t get rid of every trace of the application. To do that, you need to remove every file associated with the app. How to safely remove every trace of an application You can safely remove unwanted apps, along with their leftovers, with the help of an app we’ve mentioned above —. It knows where to look for files that are installed by apps and searches for them there, then lists them when it finds them, allowing you to easily delete them. If you’ve already downloaded and installed CleanMyMac, start using it right away. Go to the Uninstaller module and check the box next to the app you want to delete, and click Uninstall. Repeat the process for every app you suspect is malware. Reset Chrome settings If you don’t find any apps in your Applications folder that look like they’re malware, or if removing them doesn’t solve the problem, the next step is to reset Chrome’s settings. Samsung-Drivers - Samsung SCX-4200 Laser Multifunction Printer Needs for all-in-one devices, including printers, continues to increase. To accommodate the demands of, Samsung unveiled a wide range of products that are very nice and very durable, with a myriad of products that the company Samsung eject, from all types Samsung SCX-4200 is a.
Samsung SCX-4200 Laser Multifunction Printer Driver Downloads – Microsoft Windows, Macintosh. Samsung SCX-4200 Windows Driver Details OS: Win XP/2003/2008/Vista/Win 7/Win 8(32/64bit) Size: 21.11 MB, EXE Language: MULTI LANGUAGE Version: V3.00.03.00:02 Samsung SCX-4200 Mac Driver Details OS: Mac OS 10.3 ~ 10.7 Size: 0.99 MB, ZIP Language: MULTI LANGUAGE Version: 2.00 Samsung SCX-4200 Scan Driver Details OS: Win 2000/XP/2003/Vista/2008/Win 7 Size: 13.41 MB, GZ Language: MULTI LANGUAGE Version: 2.02.51. Download Samsung SCX-4200 Laser Multifunction Printer series Full Feature Software and Drivers, install and fix printer driver problems for Microsoft Windows 32-bit – 64-bit, Macintosh and Linux Operating System. “” ~ Provides a download link for the Samsung SCX-4200 Printer with the Windows Operating System, Macintosh and Linux, select the driver that is compatible with the computer you are using. In order for this printer to run properly and can be used all its features, We recommend that you download the Driver for your Samsung printer that is compatible with your computer’s operating system. You can download the driver for here is easy and free. So users do not have to worry when the DVD that is included in this printer no longer exists. Download Samsung SCX-4200 Driver For Windows 10 8.1 8 7 Vista XP and Mac OS X.
Samsung SCX-4200 Printer series Samsung SCX-4200 offers feature rich capabilities in a high quality, reliable printer that is ideal for any office environment. Print, copy, scan and fax capabilities help you accomplish all necessary tasks with just one machine, To download, select the best match for your device. Then click the Download button. Samsung SCX-4200 Series Print Driver for Windows Driver and Software Details Type: Driver Version: V3.04.96:05 Release date: Sep 1, 2017 File name: SCX-4200_Win7_Print.exe File Size: 11.6 MB ↔ Operating Systems: Windows 10 (32-bit/64-bit), Windows 8.1 (32-bit/64-bit), Windows 8 (32-bit/64-bit), Windows 7 (32-bit/64-bit), Windows Vista (32-bit/64-bit), Windows XP (32-bit/64-bit). Samsung SCX-4200 Universal Print Driver for Windows Driver and Software Details Type: Driver Version: V3.00.13.00:04 Release date: Sep 1, 2017 File name: SamsungUniversalPrintDriver3.exe File Size: 25.4 MB ↔ Operating Systems: Windows 10 (32-bit/64-bit), Windows 8.1 (32-bit/64-bit), Windows 8 (32-bit/64-bit), Windows 7 (32-bit/64-bit), Windows Vista (32-bit/64-bit), Windows XP (32-bit/64-bit). Samsung SCX-4200 Series Print Driver for Mac OS Driver and Software Details Type: Driver Version: V3.00 Release date: Sep 1, 2017 File name: V3.00_Lion_forweb.zip File Size: 2.4 MB ↔ Operating Systems: macOS (10.13), macOS (10.12), OS X (10.11), OS X (10.10), OS X (10.9), OS X (10.8), OS X (10.7), OS X (10.6). Samsung SCX-4200 Series Print and Scan Driver for Linux Driver and Software Details Type: Driver Version: V1.00.39_01:17 Release date: Sep 1, 2017 File name: uld_V1.00.39_01.17.tar.gz File Size: 14.8 MB ↔ Operating Systems: Linux, Debian, Fedora, Mandriva Linux, Red Hat, SUSE Linux, Ubuntu. The guidelines to install from Samsung SCX-4200 Driver are as follows: After you have found the right Samsung device driver, follow these simple instructions to install it. • Check whether you have switched on the printer and make sure that the USB cable is connected. • Install the Samsung SCX-4200 driver by selecting the storage location of the software or driver. • Double-Click or hit “Run” on the downloaded driver file and follow the instructions to complete the installation. • Restarting the computer may be required for completing the installation. Important.!!! If you can’t find the downloaded file in your browser window, look in your Downloads Folder and double-click the file to open/run the installation. Here are the steps to install Samsung printer drivers for MAC OS X – • Open the MAC Printer Folder to run the Printer Driver Package Installer. • Close all the applications and on the warning notification dialog click ‘Continue’. • Select the place for installing the printer driver and again click ‘Continue’. • Now select the installation type and click ‘Continue’. Hi, thanks in advance for your time. In the last few days, I have not been able to open links in Outlook 2010 when Chrome is my default browser. When I switch to IE to be my default browser, the links open just fine. But when Chrome is my default browser, I can see the links, I can 'mouse over' them and see the URL displayed (with the 'click to follow link' message appearing), but I can't follow the links. Even when I hit CRTL and click at the same time, I can't follow the links. This operation was working fine recently. 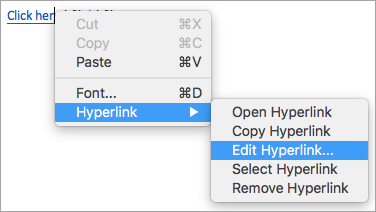 After completing the steps above, try clicking on a hyperlink in Outlook again and it should open in Internet Explorer. Once you have verified links are working, you should be able to change your default browser back to Firefox or Chrome and the links should open in that browser now. You can try some other options from this Microsoft KB article. This article provides 4 solutions to the problem of Outlook not opening email links. Also includes some items that can cause the hyperlinks to stop working. The last time, the URL links broke after I did a Windows update and installed an Internet Explorer beta. Because I didn’t test Outlook email in between the downloads, I couldn’t. I have not changed Chrome at all, and I've been using it as my default browser for years. However, I have allowed Windows Update to install its recommended updates. That said, the last update that was installed was done on December 13, 2013, and my links were opening just fine after that date. Thanks again for your help! Similar help and support threads Thread Forum I have Win7 64 bit and IE9 and Firefox loaded. When I click on a hyperlink within a trusted e-mail it says 'This operation has been cancelled due to restrictions on this computer. Please contact your system administrator.' I am the administrator but cannot get this to work. This has happened. Microsoft Office I receive a number of e-mails in Outlook 2010 in which the hyperlink to a Web site does not work. The link shows correctly, and when I mouse over it it shows the URL. However, when I click on the link nothing happens. Other e-mails I get seem to work fine. Any ideas on why some links don't work? Microsoft Office I could not find the Outlook 2010 on my Home Prem version. Is it a paid software - is it worth buying? Microsoft Office I am not sure if this is an Outlook problem or Google Maps problem. Currently I am trying to add a hyperlink to my email signature for google maps. I have the direct link from google maps, but it seems everytime I enter it into Outlook it strips the link and brings me to the google maps. Browsers & Mail Hi, I would like to know if it is possible to open hyperlinks in Outlook 2007 without installing IE8? When I try to open a hyperlink from outlook message I get the following message: 'This operation has been cancelled due to restrictions in effect on this computer. Please contact your. Browsers & Mail Our Sites Site Links About Us Find Us • • • • • • •. 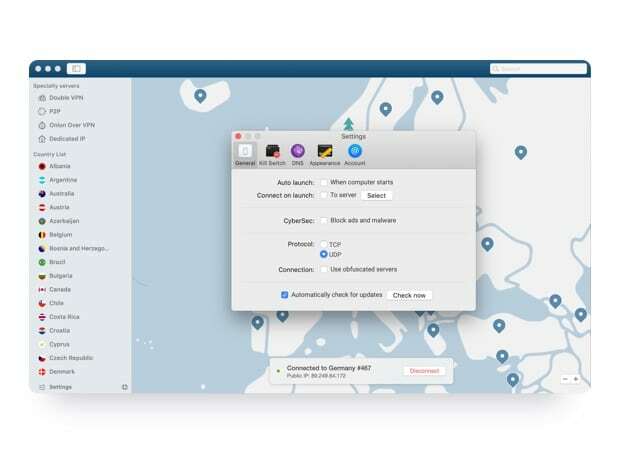 Nord VPN 6.6.13 Crack Plus Serial Key Free Download Nord VPN 6.6.13 Crack Full is a transformed software that helps to provide you a very protective or undamaged connection between your PC or the Internet. The Nord VPN Crack 2018 is a software that gives you the best data protection. It is the data encryption or privacy software for protecting online activities. It’s perfectly organized with high speed and simple and easy to use the interface while giving the online or high-quality global coverage. It provides the full guarantee of security and safety of your network connection everywhere and anytime. Full article 'Without tariffs we wouldn't be standing here' ##vpn apple store VPN latest version| vpn apple store Mac VPN download how to vpn apple store for Trump Criticizes the 1 last update 2018/12/20 last vpn apple store update. Fed, Breaking Another Taboo. It is very fast or provides network connectivity for physical distances. It especially made for providing you full protection across the private network. It also makes all your online activities hidden from the hackers & bloggers. The latest version protects you for the long period or gives the excellent user experience connected with the latest technology. Nord VPN browses anything anywhere securely. You can safely check your bank account details online. It allows you lifetime security or protection for using the network connection. No one can be capable of checking your private online browsing. This application steals your data. It connects to any network location or browses securely without any limitation. This is worldwide famous software that provides you high security. It has latest and modified tools. You may also download Connectify Hotspot Pro Crack. Nord VPN Crack For PC Features • First of all, It provides you protected Wi-Fi network. • Also, helps to get access to the blocked internet. • You can save or check your online browsing. • It helps in the prevention of flowing DNS. • Finally, gives you free proxies. How To Install? • Download the Nord VPN from given link below. • Install the software. • It’s done Enjoy. Update: If you do not want to jailbreak your device, view our non-jailbreak tutorial. The first part of this tutorial will tell you how to jailbreak your Apple device. If your iPhone or iPad is already jailbroken you can skip to the next section. How-to Jailbreak your iPad, iPhone, and iPod (iOS 8.0-9.0.2) iOS 9.0-9.0.2 This tutorial requires your device to be on iOS 9.0-9.0.2 and a Windows computer. Before we begin, please make sure you have at least 1.0 GB of free space in your device. Please also make sure you have Passcode turned off (‘Settings’ > ‘Passcode’), Find My iPad/iPhone off (‘Settings’ > ‘iCloud’), and Airplane Mode on (‘Settings’ > ‘Airplane Mode’) 1. The first step is to back up your device. As with everything, safety is our number priority. Connect your device to iTunes and back it up. Download the Pangu jailbreak tool to your computer. Connect your iPhone, iPad, or iPod to the computer and run the jailbreak tool. Press ‘Start’ > ‘Already backup’ 5. At 65%, unlock device and re-enable Airplane Mode (‘Settings’ > ‘Airplane Mode’) 6. At 75%, unlock device and run the Pangu app 7. Hit ‘Accept’ > ‘Ok’ 8. The device will restart and Cydia will be installed. Your device is now jailbroken. The process takes about 5-10 minutes. IOS 8.0-8.4 This tutorial requires your device to be on iOS 8.0-8.4 and a Windows computer. Before we begin, please make sure you have at least 1.0 GB of free space in your device. Please also make sure you have Passcode turned off (‘Settings’ > ‘Passcode’) and Find My iPad/iPhone off (‘Settings’ > ‘iCloud’). The first step is to back up your device.